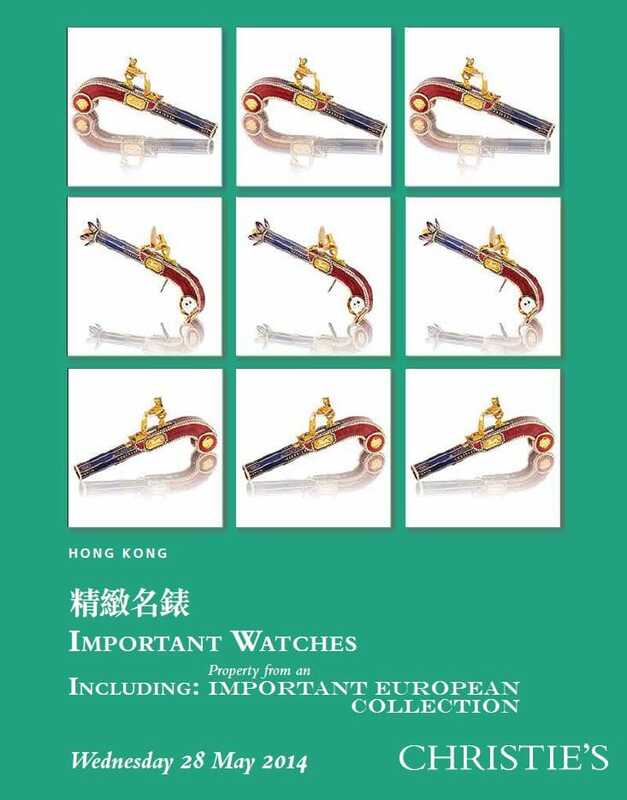 Christie’s is curating an auction on May 28, 2014 in Hong Kong featuring “Important Watches.” The lots featured in this auction are some of the finest and rarest examples of luxury watches on the market. With names such as Rolex, Patek Philippe, and Cartier, avid luxury watch collectors are certain to find a beautiful and unique timepiece to add to their collection. One of the most unique items is an 18k gold Rolex Lady’s perpetual Datejust. This diamond-set automatic wristwatch offers sweeping center seconds and date with magnified aperture. The bezel offers sets of stunning baguette cut diamonds. When combined with the 18k gold, this watch exudes luxury. Its smaller size also makes it ideal for the smaller wrists of a woman. This particular piece is estimated to sell between US $25,000 to $38,000. 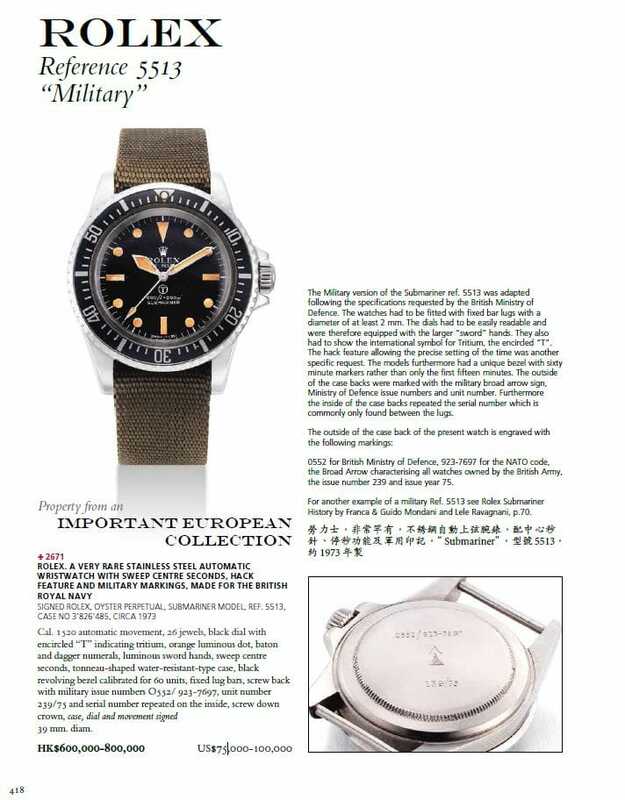 One of the more expensive Rolex options featured in the auction is a very rare stainless steel automatic wristwatch made for the British Royal Navy. Named reference 5513, this Rolex was made around 1973. It utilizes caliber 1520 automatic movement, and sports a sleek black dial, topped with jewels, orange luminous dots, baton and dagger numerals, luminous sword hands, and sweep centre seconds. The revolving black bezel is calibrated for 60 units. This unique piece is expected to sell between US $75,000 and $100,000. Several examples of extremely rare Rolex watches are also featured at this auction. Most Rolex watches feature a round dial and case. The Rolex Prince Model, reference 1862, features a square case and dial. Older than many other Rolex models, this particular piece was made around 1930. It was made during the mechanical “Extra Prima” movement, featuring 17 jewels, a two-toned square silvered dial, black Arabic numerals, and subsidiary seconds dial. This extremely unique piece is selling for a surprisingly low estimate of between US $5,000 and $7,500, making it an attainable item for smaller budgets. Another expensive and rare option is the stainless steel Rolex Chronograph wristwatch, reference 6239. This particular timepiece is accompanied by its original guarantee, which sets it apart from many other Rolex lots available. The dial presents an unusual “Daytona” signature in red and white, and is considered one of the first dials to have “Daytona” printed in a semi-circle above the central subsidiary register. Very few examples of this particular dial configuration are available on the market, making this one of the most desirable Rolex watches at the auction. This particular piece is estimated to sell between US $140,000 and $250,000. While Rolex is not as well represented in this particular “Important Watches” sale as it has been in others, there are still many fine and unique examples available. Rolex is a premier name in watchmaking, producing luxurious and innovative pieces for nearly 100 years. 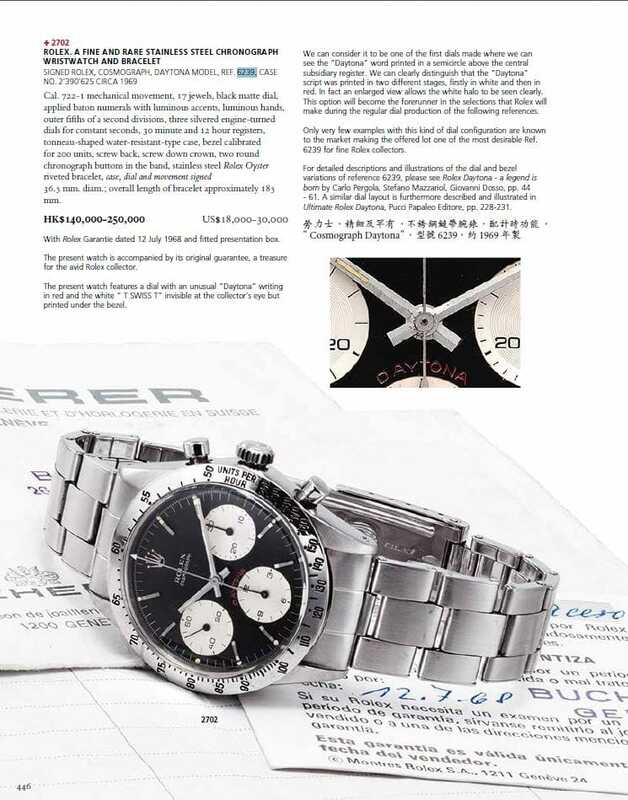 Collectors who attend this auction will certainly not be disappointed, as it offers many desirable Rolex examples to add to any luxury watch collection.